Now you have a date this Valentine’s Day. Don’t have a date this Valentine’s Day? Don’t fret because Brie Larson and the other cast of “Captain Marvel” will be coming down to Singapore! 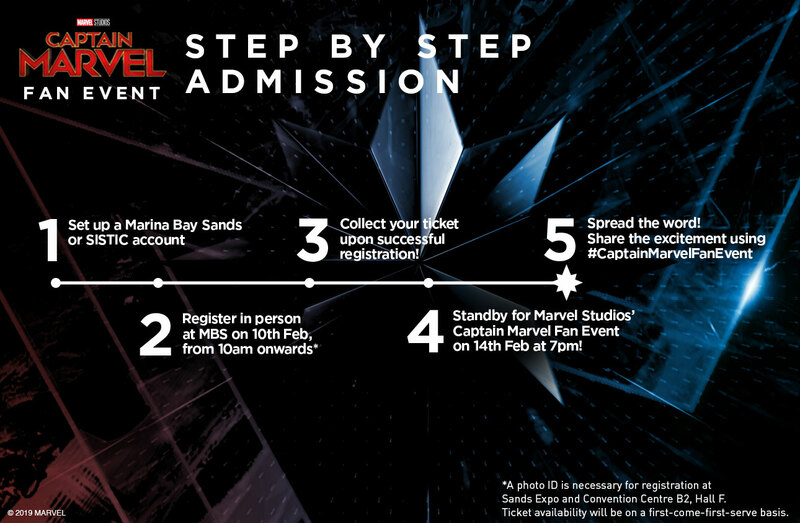 The special event for fans will take place at Marina Bay Sands on Thursday, 14th February 2019. Larson will be accompanied by Samuel L. Jackson and Gemma Chan, as well as directors Anna Boden and Ryan Fleck. Remember last April when the cast of ‘Avengers: Infinity War’ dropped by sunny Singapore to promote their movie? If you lucked out on catching your favourite superhero in the flesh, best be on your toes this time around. This year’s event will be free-to-public like the one before, but pre-registration is compulsory because of the high demand — uh oh. This will be their only stop in Asia and Singaporeans get to be there, so don’t miss out! See here for the extra details.